Often, when we think of missionary work in the Book of Mormon, we think of missionaries like Alma or Ammon.1 These were people who went off to do full-time missionary work.2 However, one of the most important missionaries in the Book of Mormon was a “member missionary” who took advantage of a prime opportunity to share the gospel with her neighbors. Her name was Abish. Abish then made an assumption that we might not make today, but that would have made sense in pre-Columbian America.4 “When she saw that all the servants of Lamoni had fallen to the earth, and also her mistress, the queen, and the king, and Ammon lay prostrate upon the earth, she knew that it was the power of God” (Alma 19:17). In ancient America, it was believed that holy men and women (called shamans) would often fall to the earth as if they were dead when they were communicating with divine beings.5 Apparently, Abish understood that this was what was happening to Lamoni and the rest of the royal court.6 She then thought that “by making known unto the people what had happened among them, that by beholding this scene it would cause them to believe in the power of God, therefore she ran forth from house to house, making it known unto the people” (Alma 19:17). In other words, Abish seems to have thought that everyone else would also instantly see that royal family and their servants were experiencing a shamanic vision if they could only see them.7 So she went from house to house, telling everyone to come and see what was happening. Abish seems to have known that if she could only get the queen of the Lamanites to wake up, the queen would tell everyone what she had learned from the divine being, prompting everyone that saw it to believe in God.9 So she took the queen by the hand and raised her up, and the queen testified of her miraculous experience with God (Alma 19:29).10 The queen then raised up her husband, and many of the Lamanites were converted because of this event (vv. 30–31). In many ways, Abish provides an excellent example of how we can all be member missionaries today. Abish probably didn’t wake up one morning and decide she was going to be instrumental in converting a huge portion of the Lamanite nation that day. In fact, she apparently had not even told anyone about her conversion before that point (Alma 19:17). However, when the royal family fell down as if they were dead, she saw it as an ideal opportunity to teach everyone about the gospel by simply gathering them together. She was in the right place at the right time, and took an opportunity when she saw it. She was also willing to take the initiative to try to fix things when they did not go exactly as planned. When the people misunderstood what they saw, she took a leap of faith and went over to raise up the queen so the people would understand what had taken place. 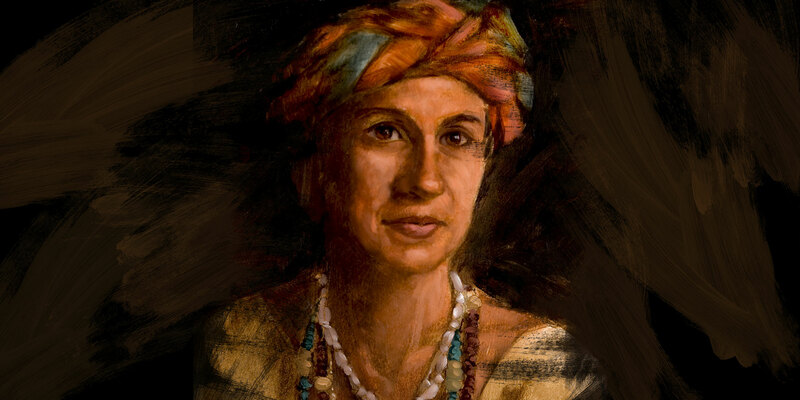 Abish was apparently the only person who had not fallen, and if she had not gathered everyone together, most people might have missed what was going on.11 If she had kept her mouth shut and not acted courageously, this key event in the conversion of the Lamanites might never have happened. This can be a reminder to all of us that we should always be ready to take advantage of missionary opportunities when we see them, and to not give up when our efforts do not work out quite the way we had planned. We can allow the example of Abish to inspire us and help us in our daily efforts to bring others to Christ. Mark Alan Wright, “Nephite Daykeepers: Ritual Specialists in Mesoamerica and the Book of Mormon,” in Ancient Temple Worship: Proceedings of the Expound Symposium, 14 May 2011, ed. Matthew B. Brown, Jeffrey M. Bradshaw, Stephen D. Ricks, John S. Thompson (Salt Lake City and Orem, UT: Eborn Books and Interpreter Foundation, 2014), 243–257. Michael J. Call, “Reading Competency in the Book of Mormon: Abish and Other Model Readers” BYU Studies Quarterly 56, no. 2 (2017): 59–70. 1. 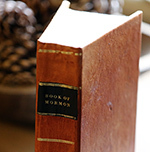 [See Book of Mormon Central, “How Does the Book of Mormon Prepare Missionaries to Sacrifice, Serve, and Preach?” (Alma 4:20),” KnoWhy 333 (June 30, 2017). 2.For more on full-time missionary work, see Book of Mormon Central, “What Role Does the Book of Mormon Play in Missionary Work? (2 Nephi 30:3),” KnoWhy 288 (March 17, 2017). 3.Brant A. Gardner, Second Witness: Analytical and Contextual Commentary on the Book of Mormon, 6 vols. (Salt Lake City, UT: Greg Kofford Books, 2007), 4:298–310. 4.One also sees this in the Old World as well. See Joseph Fielding McConkie and Robert L. Millet, Doctrinal Commentary on the Book of Mormon, 4 vols. (Salt Lake City, UT: Bookcraft, 1987–1992), 3:138–141. 5.Mark Alan Wright, “Nephite Daykeepers: Ritual Specialists in Mesoamerica and the Book of Mormon,” in Ancient Temple Worship: Proceedings of the Expound Symposium, 14 May 2011, ed. Matthew B. Brown, Jeffrey M. Bradshaw, Stephen D. Ricks, John S. Thompson (Salt Lake City and Orem, UT: Eborn Books and Interpreter Foundation, 2014), 248–249. See also Mark Alan Wright, “‘According to Their Language, unto Their Understanding’: The Cultural Context of Hierophanies and Theophanies in Latter-day Saint Canon,” Studies in the Bible and Antiquity 3 (2011): 60–64. 6.For more on Abish’s ability to understand events and act accordingly, and the ironic inability of the rest of the audience to do so, see Michael J. Call, “Reading Competency in the Book of Mormon: Abish and Other Model Readers” BYU Studies Quarterly 56, no. 2 (2017): 63–64. 7.For a classic treatment on the relationship between this narrative and shamanism, see Hugh Nibley, Teachings of the Book of Mormon, 4 vols. (Provo, UT: FARMS, 1993), 2:388. 8.For more on the relationship between visions and falling to the earth in pre-contact America, see Book of Mormon Central, “Why Does the Lord Speak to Men ‘According to Their Language’?” (2 Nephi 31:3),” KnoWhy 258 (January 6, 2017). 9.There may have been specific servants for the king and the queen, and if Abish was specifically one of the queen’s servants, this may have been why she felt more confident in trying to wake up the queen. See S. Kent Brown, Voices from the Dust: Book of Mormon Insights (American Fork, UT: Covenant Communications, 2004), 102. 10.This scene fits well thematically with a pun on Abish’s name. See Matthew L. Bowen, “Father Is a Man: The Remarkable Mention of the Name Abish in Alma 19:16 and Its Narrative Context,” Interpreter: A Journal of Mormon Scripture 14 (2015): 77–93. 11.It is possible that Abish was the only one who had not fallen because she had already had a vision of God the Father. See Book of Mormon Central, “Why Was Abish Mentioned by Name?” (Alma 19:16),” KnoWhy 127 (June 22, 2016).